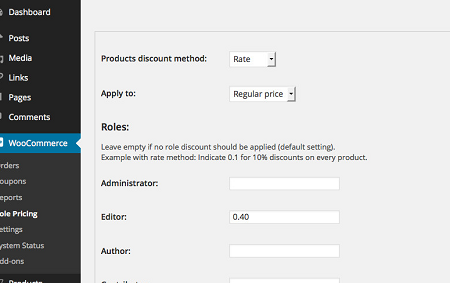 WooCommerce Role Pricing: lets you offer discounts to subscribers, editors, and other roles in WooCommerce. WooCommerce Dynamic Pricing & Discounts: a versatile plugin for handling dynamic pricing and discounts. You can create an unlimited number of pricing rules for your business. 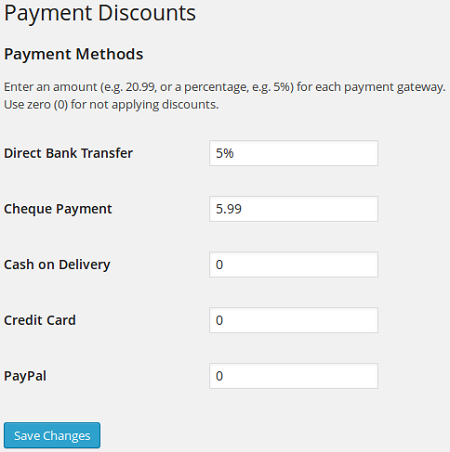 WooCommerce Discounts Per Payment Method: lets you offer discounts on specific payment methods in WooCommerce. Just set discount amounts per payment method, and you are set. 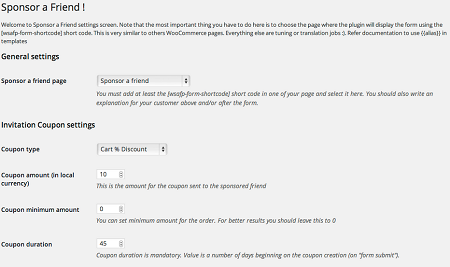 WooCommerce Sponsor a Friend Plugin: this plugin lets you offer a discount to your visitors for referring their friends to your website. Coupons can be either percentage-based or fixed. WooCommerce shop to Facebook: it imports your WooCommerce shop to Facebook, allowing you to offer your fans group deals. You will also get a bunch of other social marketing tools to boost your sales. WooCommerce Points and Rewards: lets you reward your customers for actions with points that can be redeemed for discounts. You can control the maximum discount that can be earned using points, reward customers for writing reviews, and much more. Discount for Likes: lets you offer discounts in exchange for Facebook Likes. The script works with simple and variable products. You can display how many likes you need to decrease the price for a given product. Have you found better plugins to manage discount rules in WooCommerce? Please share them here.